Using 2 strands of yarn hdc 6 in a magic circle. If you don't know the magic circle chain 4 and join. Hdc 6 in the inner loop. Round 2: Hdc 2 in each stitch around (12). Join. Continue to increase until your basket is the desired circumference. Ch. 2. *Before moving onto the sides cut plastic canvas to the same size as your bottom. Double crochet in the top part of each stitch to allow the sides to come up from the bottom. Join. Ch 2. *Double crochet in each stitch around. Join. Repeat until your basket is the desired height. I did 8 rows. 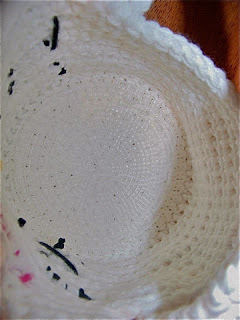 *About half way through you can sew your canvas to the bottom (inside) of your basket using the same color yarn. Ch 1. Sc in each stitch around. Join. DO NOT BREAK OFF! Row 1: Ch 1. Sc in next 3 stitches. Ch. 1. Turn. Row 2: Sc in each of the 3 stitches. Ch. 1. Turn. *Continue until your handle is the desired length. Break off leaving enough yarn to sew the handle to the other side of the basket. I will be posting instructions for the faces a little later. 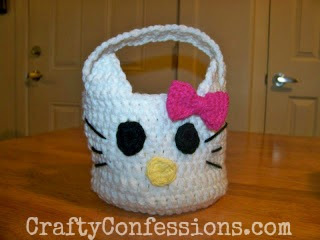 These baskets are too cute Macy! I love both Hello Kitty and Elmo! Great job! I'm pinning these!!! did you post the addition to the pattern---- faces etc????????????? 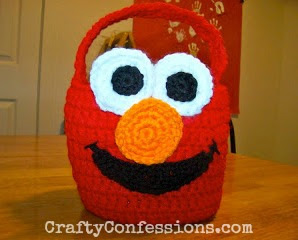 Where can we find the pattern to the Elmo face? 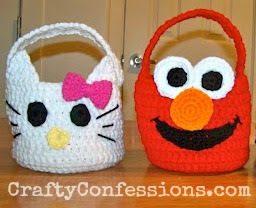 Do you have the face pattern of both hello kitty and Elmo? He bagged his first role on big screen as a parallel lead in the movie Deewana being paid a very small amount. Shah Rukh won his first Film Fare Debut of the year award for this movie. Shah Rukh's career reached at its peak when he show cased his grey shades in movies like Darr and Baazigar. So she rose, trembling, frail, to pay a visit to the one piece shirt hospital sloth shirt where lay the enemy sick and wounded, near London. Countess Beveridge was still a privileged woman. Society was beginning to jeer at this little, worn dinosaur shirt bird of an out of date righteousness and aesthetic.